Detail of a Hmong story piece from 1990. Hmong flower cloth (or paj ntaub) is one of the world’s great textile traditions and an excellent example of cloth as community. Despite its deep roots in Hmong culture, this complex art was not widely known outside Asia until after the Vietnam War, when Hmong refugees arrived in the United States. 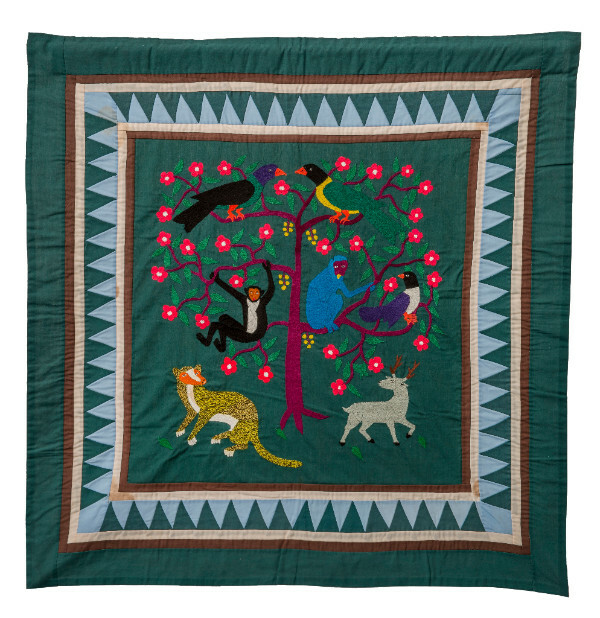 Cloth as Community features 28 textiles—flower cloths and embroidered story cloths—by those in the Hmong community. You are currently reading “Cloth As Community” Ruth Funk Center for Textile Arts, Melbourne, Florida, through January 7, 2018 at Woodhaven Studio's Weblog.